Good news for people living in Salisbury and who wants to get rid of their unwanted vehicle quickly and effortlessly. 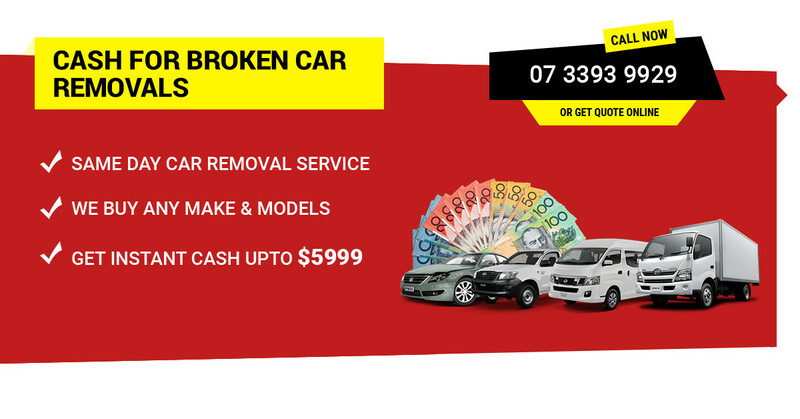 Car Wreckers Salisbury 4107 crew at Qld Wreckers are just a 9 Minutes (4.2 Km) away getting rid of vehicle out of your property and pay you the best cash price of your unwanted automobile. Since, our scrap car yards are located in 50 Macbarry Place, Rocklea, Qld 4106. When your once a perfectly running vehicle gets damaged in an accident or worn-out because of redundant use. It is absurd to have it lying on your driveway or backyard. The sad days start when you find that it’s cost of repairs are too high than the original value. You will take a deep breath and decide to let go of your old ride and hold to a more convenient vehicle. However, the procedure of scrapping a vehicle is really complicated and troublesome. If you are not aware of the laws associated with auto scrapping process, it can create more trouble. As you may not be able to dispose your vehicle correctly and you could get imposed with fines. Fortunately, you can escape it all by taking help of the expert car dismantlers like QLD Wreckers. We are number one car wreckers and scrap removal service located in Rocklea, Brisbane, Queensland. Whether you want to say goodbye to a totalled, dented, wrecked, smashed, unwanted, broken, unregistered or busted vehicle. We will buy it for the top price. Our team like to collect cars in any condition and also use eco-friendly standards to dispose them. We offer a plenty of services like free cash quotes, free car removals, fast cash for cars and high quality auto spare part sellers. You can request for our smooth services from any region of Queensland. We also offer services to its surrounding areas like Sunshine Coast, Rocklea, Gold Coast, Caboolture, Ipswich and more. This makes us the best auto wreckers in Brisbane, Qld. So, whatever make or model you want to dispose, we are your one-stop solution. Just contact us or visit us to get rid of your vehicle in a trouble-free manner. What makes us No. 1 Salisbury Wrecker? We are a team of qualified and licenced motor dealer wrecker to remove unwanted automobiles quickly. We are updated with the latest market research and give free no-obligation cash offers. Allow customers to get pickup from any location in Brisbane. Pay highest cash for cars, trucks, vans, Utes, SUVs, 4WDs, etc. There’s no restriction while removing particular make model and condition. We even say Yes to commercial vehicles and pay more cash. Latest equipment to handle free car removal, dismantling and recycling. We dispose vehicles through environment-friendly methods. If you need to dispose your useless vehicle and want to earn some money at the same time. Contact us today. We are the most preferred cash for car service in town. Whether you want to sell pre-owned or broken car, truck, van, Ute, 4WD or SUV. We will convert your worthless heap of junk into a lucrative asset. We have years of extensive experience in this business. So, we are able to determine the worth of every automobile, even if it is a complete junk. While removing vehicle we ensure to follow associated safety procedures very carefully. This makes our team capable enough to handle every kind of broken and damaged automobile. Also, we use advanced equipment and well-kept two trucks for secure auto removal. The safety and convenience of clients are our prime concern that’s why we train our removal team efficiently. The best part of all is that you don’t need to spend even a single penny from your pocket as a removal fee. We take care removing automobiles on our own. You will also receive on the spot cash as guaranteed in the beginning of the deal. We like to keep the environment and its surroundings clean by purchasing and recycle unwanted automobiles. For this purpose we use the latest tools for wrecking and recycling junk automobiles. The moment we take vehicles to our salvage yards we commence the process of breaking it for parts. While doing this we stick to eco-friendly protocols and methods in order to prevent any damage to the environment. All of liquids materials like gas, coolant and petrol are removed under the supervision of experts. If they get leaked into the environment, it can lead to many undesirable effects. While the leftover auto body and damaged items are crushed to form scrap metal for recycling. Most often it is difficult and expensive to purchase second hand parts in order to fix your vehicle. However, it is a really painless process when you take help of Wreckers in Salisbury. We keep the spare parts for all popular models of Toyota, Nissan, Mitsubishi, Mercedes Benz, Audi, BMW, Holden, Ford, Chevrolet and more. Our Car Wreckers provide great-quality spare parts for all varied makes and models available in auto market. We guarantee to sell them at a very reasonable price. Therefore, contact our Car Wreckers Salisbury 4107 team @ Qld Auto Wreckers now to repair your vehicle on a budget. Call or text us now at: 0416 615 100 or fill up the quote form.